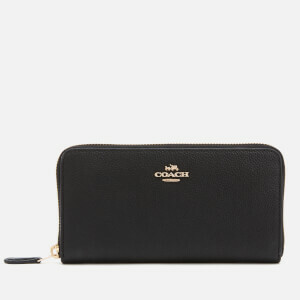 Mini skinny ID case from Coach. 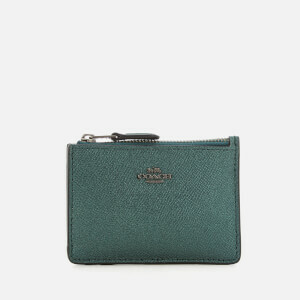 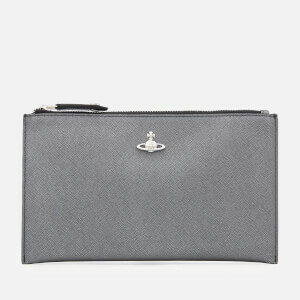 Presented in metallic blue textured leather, the purse fastens with a top zip closure and features a lined main compartment, with a slip pocket, two card slots and an ID window to the rear. 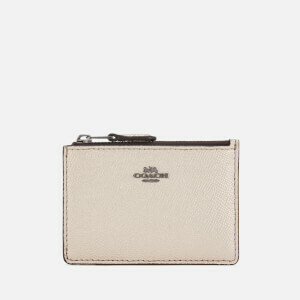 Gold-tone appliqué branding at the front completes the design.